What is clear from cricket conversations on various forums, including this one, is that the Aussie public is largely indifferent to the ODI series that will start this weekend between Australia and India. The focus is understandably on the Ashes, and this series is seen as a distraction and merely a reason for Cricket Australia to pick up some extra cash. For entirely different reasons the interest in India is low as well. From a fan perspective there is clearly cricket fatigue after a very long domestic season that never ended, merely morphing into an ‘away’ season that gave the opportunity to Virat Kohli and boys to win a few more matches against some largely ordinary opposition. Nonetheless, come this weekend, when two teams glued together at the number two spot in world ODI rankings face up, at stake will be the bragging rights of the number one position in ODI cricket. Whoever wins this series will leapfrog South Africa to the title of top dog in limited overs cricket as long as the margin of victory is 4-1. A 3-2 margin will leave the victor in second place and relegate the loser to third. With this peak in sight and two extremely combative captains Steve Smith and Virat Kohli in charge, one can be sure that no quarters will be asked and none will be given. Given how important to the two teams (and to the two cricket boards) this series is in that context, it is interesting to evaluate the composition of the teams which has been a matter of some debate in recent days on social media and on more serious cricket forums. It is clear that Indian team management decided to use the quality opposition that they will face to give much-needed top-level exposure to the up-and-coming talent in the country. The 2019 world cup is not that far away, so it is indeed time to find the right balance in the team. The fact that players like Yuvraj Singh and Suresh Raina are not a part of the equation is hardly surprising, and it is a tribute to MS Dhoni’s supreme fitness and continued importance to the team that he continues to be first-choice wicketkeeper even leading up to 2019. India’s batting talent on display can be the envy of many other teams and the bench strength at the moment is remarkable. Shikhar Dhawan at 32 and Rohit Sharma at 30 are the oldest members of the batting outfit and are the most explosive opening pair in the world at present in this format. With Virat Kohli, Ajinkya Rahane and KL Rahul in the top to middle order, the batting is solid. It is the bowling that is an interesting study. Mohammed Shami, Umesh Yadav, Bhuvaneshwar Kumar and Jasprit Bumrah are fighting for the two likely spots in the pace department. All four are bowling extremely well, and India has never in her cricketing history had a plethora of riches in the pace department as she does today. Hardik Pandya is one of the most exciting young talents in world cricket today in the limited overs format. He is an explosive batsman and he just needs to learn how to best use the 140 kilometres per hour speed at which he consistently bowls to be the effective fifth bowler in Indian conditions. India made a statement by dropping Ravi Ashwin and Ravi Jadeja, the top two bowlers in the world in Test cricket, from the limited overs side. It is ostensibly to give them rest, but the real reason is to throw the youngsters into the pan and see how they come out. Axar Patel has a lot of experience in the shortest format of the game and is learning quickly how to handle the ODI format. With an average well below Jadeja’s and an economy rate which is superior, one is hard pressed to question the picking of this 23-year-old. One of Axar’s likely bowling partners at the other end is exciting leg break bowler Yuzvendra Chahal. As is often the case with spinners, Chahal got his break fairly late in life at the age of 26 last year. A few months later, playing a T20 against England, he put in a magical bowling spell, picking up six for 25 against England, the third best bowling figures ever achieved in the shortest format of the game. On the hard unresponsive pitches one can expect over the next two weeks, how Chahal does will be crucial. Chahal will, however, be fighting for a place in the XI with one of the most exciting wrist spinners in the world today: India’s Chinaman bowler, Kuldeep Yadav. Yadav made an immediate impact when he debuted in the Test match against Australia in Dharamsala earlier this year and has followed it up with a strong start to his ODI career with an average a shade above 20. 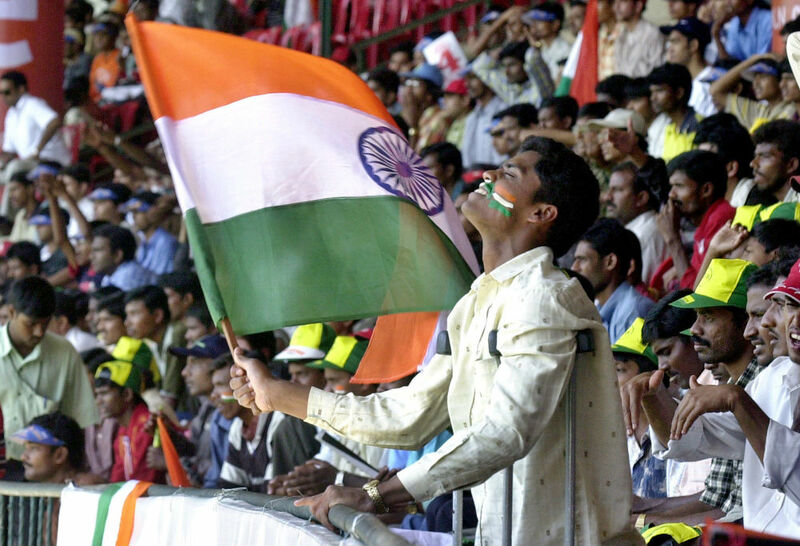 Overall India looks a well-balanced side and will be difficult to run through at home. In this context Australia’s team composition is a bit curious. It seems to have been picked with the constraint of the Ashes series in mind on the one hand and based on IPL experience on the other. The top order is clearly formidable. Any ODI batting side that boasts David Warner and Steve Smith at the top deserves to be treated with a lot of respect. Aaron Finch on his day is devastating, and Indians know well from long IPL experience exactly what their much loved Glenn ‘Maxie’ Maxwell can do to even the best bowling on a good day. Travis Head adds stability. Beyond that, the batting looks a bit iffy against a strong Indian bowling line-up in the event at least two of the above don’t fire every match. 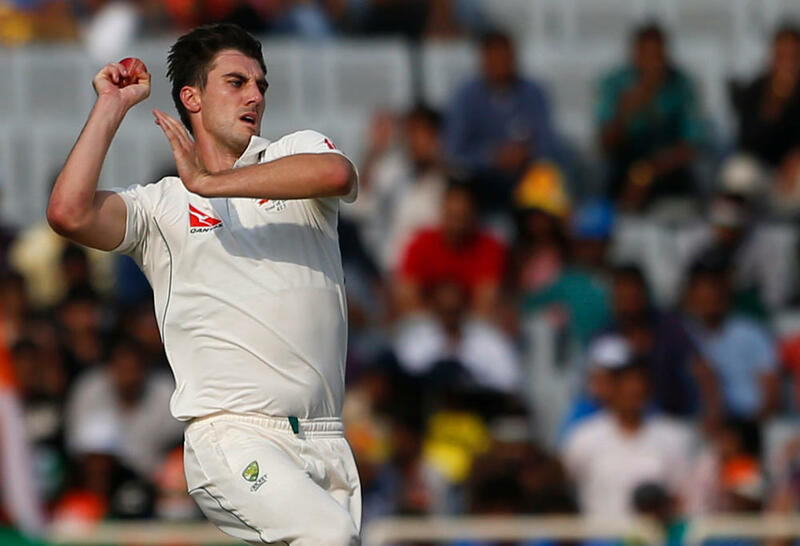 The real worry, unlike for India, will be the Aussie bowling outfit. Pat Cummins will have to spearhead the attack and be careful not to injure himself before the Ashes. That, one can be sure, will be playing on his mind as he steams in to bowl at Shikhar Dhawan. Nathan Coulter-Nile has valuable IPL experience and has done well in the 16 ODIs he has played to date. He is a good pick. Hilton Cartwright has never played an ODI and India is an interesting place to start your career. James Faulkner is someone the Indians sorted out a long time ago and his inclusion in the team will have been met with salivating faces across the home grounds. Kane Richardson’s move from domestic to international cricket has not been easy and the hosts won’t make it easier. The spin duo of Ashton Agar and Adam Zampa are going to have the toughest short tour of their lives starting this weekend. At 23 years of age Agar has played two ODIs to date, taking two wickets, the last one two years ago. His senior partner Adam Zampa has at the age of 25 played 24 ODIs with an average just a shade below 30. Having played the IPL without notable success and knowing how better leg spinners have fared in India in the past, it is safe to predict that he will have a challenging tour. To pick up a humorous line from Kersi Meher-Homji’s article here a few days ago on Nathan Lyon’s exclusion from the team, it seems likely that the ‘A to Z’ of Aussie bowling will struggle in the days to come. The Aussie team will fight as they always do and Kohli and men will know not to take them for granted, but the most likely outcome of the series when the presentation ceremony is held at Nagpur on 1 October will be a 4-1 victory for India.